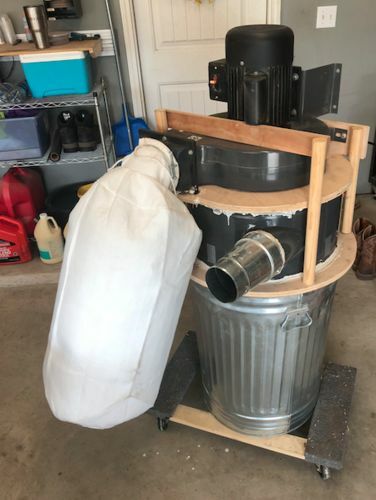 I too think the scrubber is probably overkill for what you need, Buy the harbor freight kit and use a thein baffle or a super dust deputy with it. Both will do a good enough separation job that you won’t need to worry about plumes of dust. I run mine through a wynn filter, but venting out side would help even more with the separation efficiency. Here’s my setup with the harbor freight parts and a thien baffle. 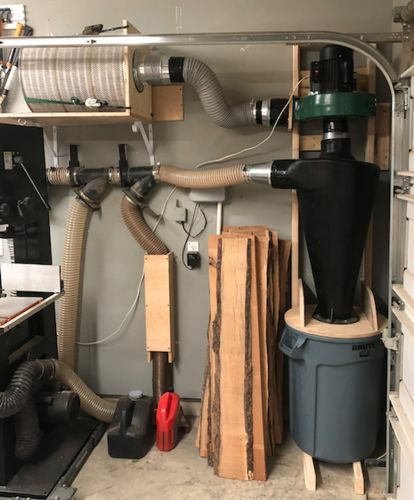 Both will do what you need and have no plumes, I run them with my drum sander and the fines are nearly all in the dust bin.